I know, I know, adding 2.0 to things is cliché, but it’s late and I used up all my creativity on vacation posts (more to come). Anyway, this card came in the mail today and it looks like finally someone with real marketing skills is designing the church ads. 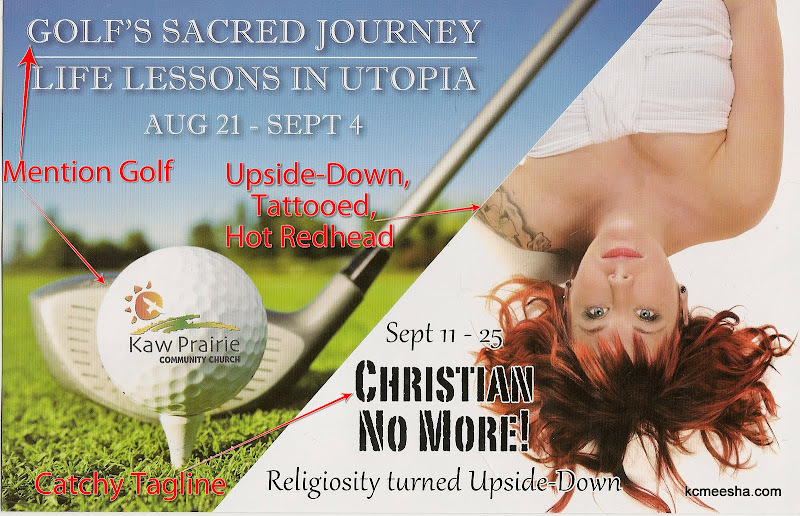 The days of religious billboards and creepy comic books may be behind us, now it’s all about golf lessons and tattooed women. Most importantly, you don’t even have to call yourself a Christian (photos are not edited, mark-ups are mine). 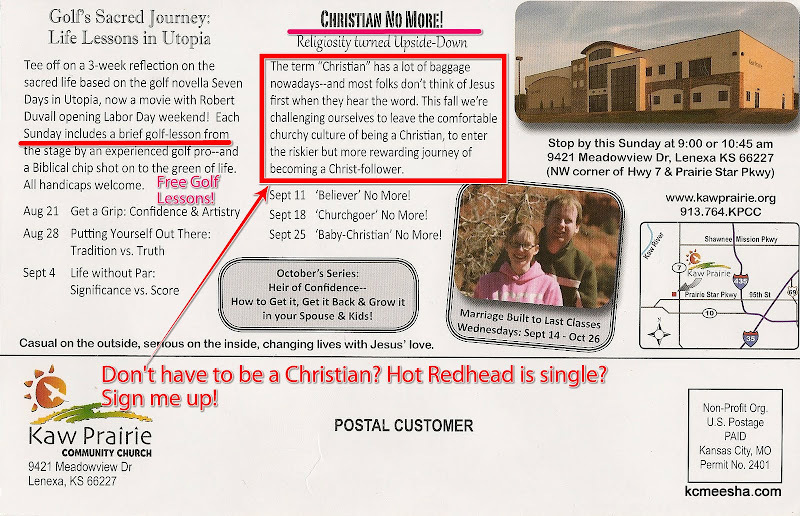 “Christian no more!” , free golf lessons and hot pre-wrapped redheads? I don’t see how one could resist….